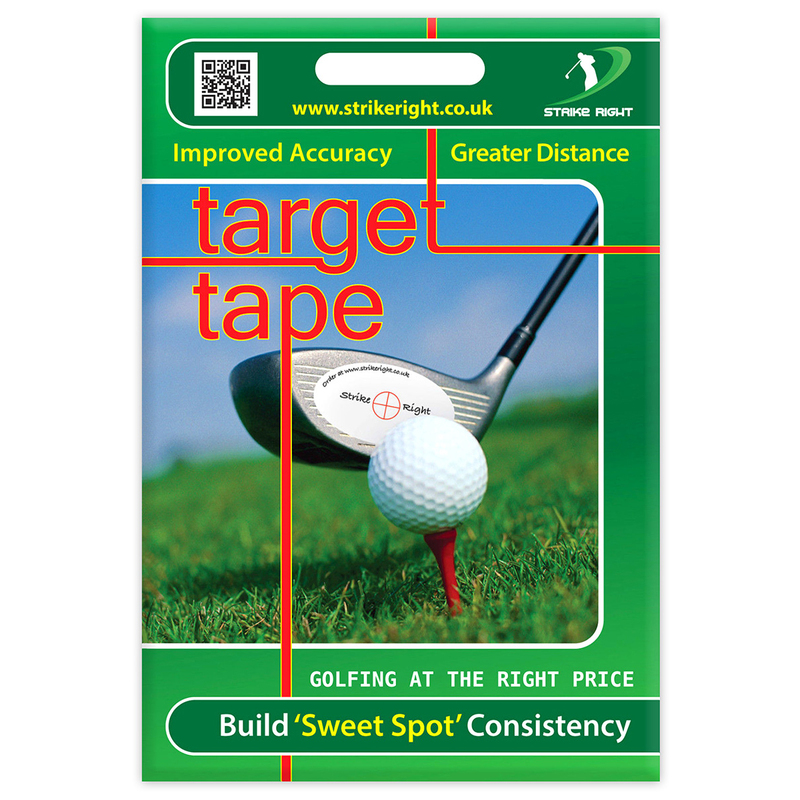 This target tape works with any club excluding your putter. Each self-adhesive target type has a printed sweet spot to use as a reference to assess your connection. 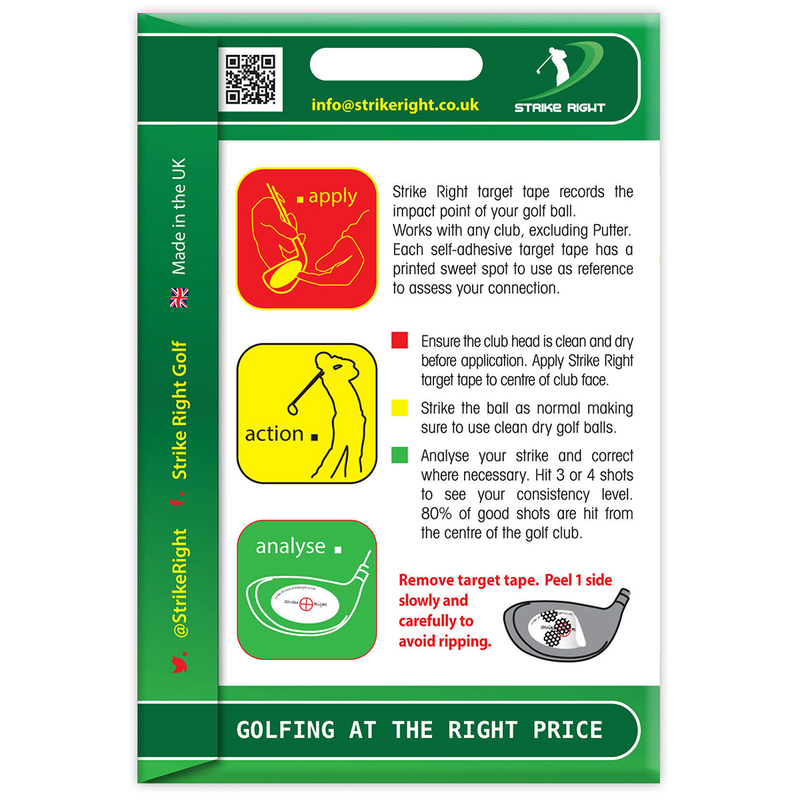 Ensure the club head is clean and dry and simply apply the tape to the centre of the club face. Strike the ball as normal, making sure to use clean and dry golf balls. 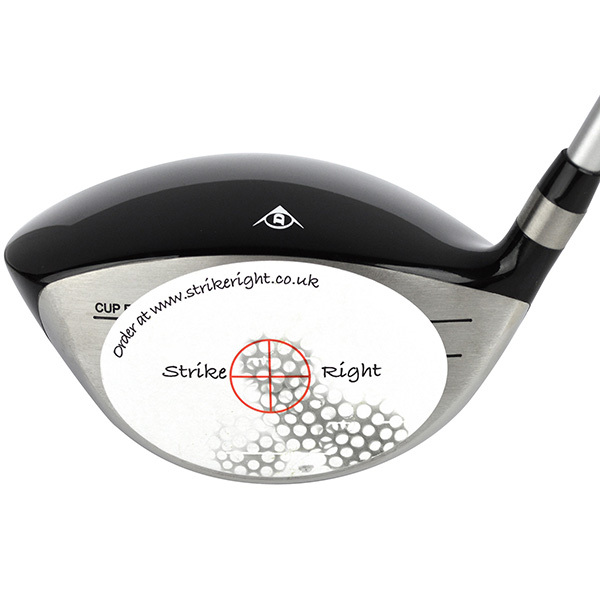 You can then simply analyse your strike and correct where necessary. Hit 3 or 4 shots to see your consistency level. 80% of good shots are hit from the centre of the golf club.